The Republican tax law signed by President Trump in December is often referred to as the GOP tax cut, and it's true that most Americans are getting more money in their paychecks because of tax table changes. But it is also true that the tax cuts pushed by Republicans are jacking up 2018 taxes for millions of Americans. "It's going to be super unpleasant," said Northfield certified public accountant Ann Etter, who's also a spokesperson for the Minnesota Society of CPAs. "There are going to be a whole lot of people who are going to end up owing next April, and I'm nervous for the pain." Etter said it's difficult to say exactly whose taxes are going up because so many factors are in play. "I didn't see a pattern among income. I saw a pattern with the types of deductions you take. I saw a pattern with, in some cases, the type of income you have. And I definitely saw a pattern with the children you have and the ages they are." The per-child tax credit is doubling from $1,000 to $2,000 and it will be available to much higher income earners that it previously was. But tax filers lose thousands of dollars in deductions for dependents. Another big factor is the new $10,000 cap on state and local tax deductions. So too, Etter said, is the loss of unreimbursed employee expenses. Elaine Wilson of Minneapolis is bracing for a tax increase. 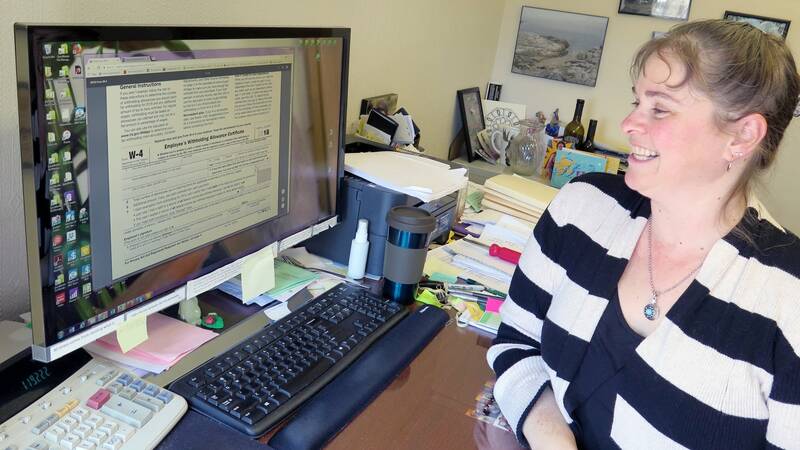 She and her husband used the IRS online estimator to determine how the new tax law is affecting them. They found out their federal bill is increasing by nearly $2,500, mainly they think because of the $10,000 cap on state and local tax deductions. While she said she doesn't mind paying higher taxes, "I don't like surprises at the end of the year. That's for sure." If her extra tax burden was helping to pay for things like early childhood education, environmental protection or health care, she said she'd be OK with it, but she does not think that's the case. "What I've been reading is that mostly it's going to the very wealthy and to corporations. To me that's not the best and highest use for that money." • Dec. 18: What will Minnesota companies do with their GOP tax windfall? Tax law defenders say the cuts corporations and many individuals are getting will stimulate the economy, leading to more jobs and higher wages. Republicans have been relentlessly promoting what they say are the economic benefits of reducing taxes on corporations and American workers. "And you see what's happened to your wallet? I mean you're getting a lot more money in your weekly or monthly checks than you ever thought possible," President Trump said last week in Miami. "So, people are liking it and, very importantly, it's great for the country." Minnesota GOP U.S. Rep. Tom Emmer says the only complaints he's heard are from the "uber wealthy. The complaints are you took away my special tax treatment." Emmer is one of the leaders of the National Republican Congressional Committee, which is charged with keeping the House under Republican control. The "reality and the proof" of the tax cut will turn up in the election results, he added. Regardless of who's benefiting the most from the tax law, tax preparers worry many people who'll be owing more won't find out until they do their 2018 taxes. It's still unknown how Minnesota lawmakers will respond to the federal tax law changes. With less than a month left in the session, the Legislature has yet to agree on how to change state tax policy. Etter said people can find out fairly easily how their federal tax liability has changed. "What everybody should be doing is filing out a new form W-4 (employee withholding) because there are work sheets on the new form that will tell you how many exemptions you really should be taking," she said. Wilson said the online IRS calculator she used was easy to navigate and concluded her family should increase withholdings by $200 a month to cover their tax increase. Tax preparers say in addition to increasing withholdings, people who find out their taxes are going up might want to send the IRS a one-time extra payment right now to make up for what they've already fallen short on since the tax law told hold at the beginning of the year.